A billionaire Indian diamond trader, whose jewellery was worn by the likes of model Rosie Huntington-Whiteley and actress Priyanka Chopra-Jonas, has been arrested in the UK. 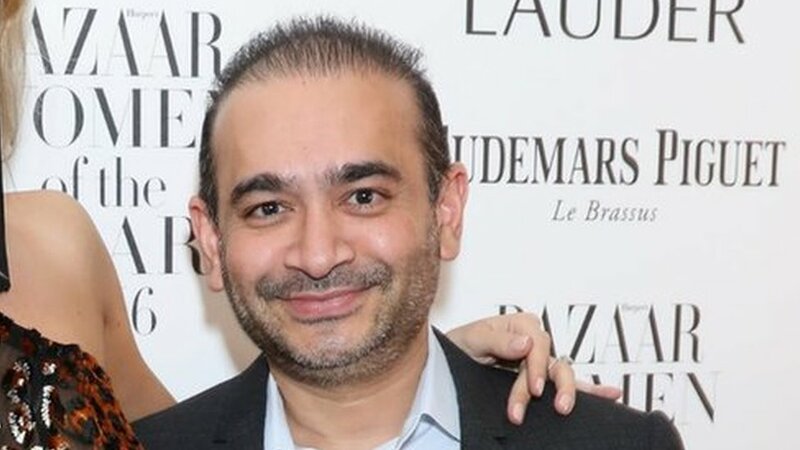 Nirav Modi is wanted for his alleged role in India’s largest ever bank fraud, totalling some $2bn (£1.5bn). He left the country in early 2018, and has not returned to India since. Mr Modi, 48, was arrested in central London on Tuesday, and is due to appear in court on Wednesday. Police said the arrest had been made on behalf of Indian authorities, who have asked for his extradition. Who is India’s scandal-linked billionaire? Mr Modi’s case was thrust back into the limelight after a British newspaper found him living in an £8m ($10.5m) London flat. The Telegraph questioned him near the Oxford Street apartment in early March 2019. It is thought Mr Modi – who disappeared in February 2018 – had reportedly been in the British capital since at least June. Within days, officials confirmed that UK Home Secretary Sajid Javid had certified India’s extradition request, initially made last August. He is due to appear before Westminster Magistrates Court, which issued a warrant for Mr Modi’s arrest this week. The arrest comes at an interesting time in India, where people will start voting for their new MPs in the next few weeks. A successful extradition could boost the ruling BJP’s standing in the polls. Punjab National Bank (PNB), India’s second-largest state-run bank, accuses Mr Modi of being one of the main suspects in a scam which defrauded it of $2bn. The other main suspect is his uncle Mehul Choksi, who has been in Antigua since the allegations emerged. The banks said the suspects had used unapproved guarantees, issued by rogue PNB staff, to borrow from other lenders. Mr Modi has previously denied any wrongdoing. Mr Modi is one of India’s richest men, worth an estimated $1.75bn, according to Forbes. He was born into a diamond trading dynasty, but only launched his own eponymous brand back in 2010. The brand grew quickly, and he soon had stores across India, as well as in New York, London and Hong Kong. His diamond-encrusted designs were worn by stars like Kate Winslet, Rosie Huntington-Whiteley and Naomi Watts, while the Bollywood star Priyanka Chopra-Jonas appeared in advertisements for the brand. The shops were raided and his assets frozen after the allegations emerged last year.